Thousands of marchers have taken to the streets of Barcelona in a mainly peaceful protest about police violence handed out during the divisive Catalan independence referendum. Riot police secured polling stations and snatched ballot boxes in a bid to disrupt the poll last weekend that was declared illegal by the Spanish government. The Catalan government claims 900 people were injured by the police in running battles between police and campaign supporters to open polling stations for the referendum. 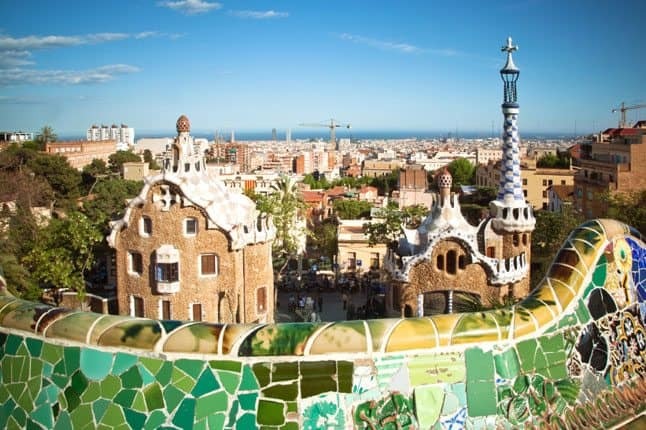 Catalonia, an autonomous region of northern Spain the main city of Barcelona and a population of 8 million is one of the richest areas in the country. The Catalans have long campaigned for independence with tension building between the region and the central government in Madrid. Politicians claim 90% of the 2.3 million referendum turnout support independence for the region. The protest of thousands of Catalans snaked through the streets of Barcelona and was mainly peaceful, although pickets did force shops and supermarkets to close in support of a general strike. Besides the march, the day of protest saw barricades put across major roads and motorways. The government has taken a harsher view and promised tough and swift action. “Day after day, the Catalan government is pushing the population to the abyss and inciting rebellion in the streets,” Interior Minister Juan Ignacio Zoido said. The European Union has stepped into the row, trying to halt the dissent. In a statement, European Commission President Jean-Claude Juncker said: “We also reiterate the legal position held by this Commission as well as by its predecessors. If a referendum were to be organised in line with the Spanish Constitution it would mean that the territory leaving would find itself outside of the European Union.